I will always be a fan of Real Techniques brushes. 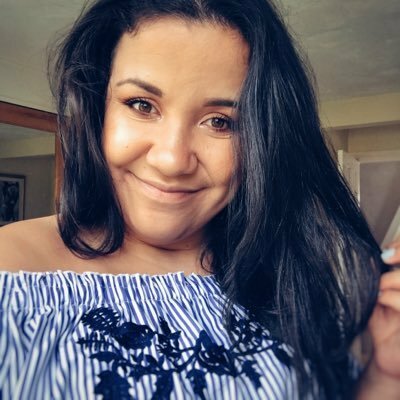 Since I discovered the expert face brush (you can get it for £8.99 here) my make-up application has new been the same since. I use the real techniques brushes everyday and I probably have most of the brushes now! You can check out my previous posts on real techniques here, here and here. 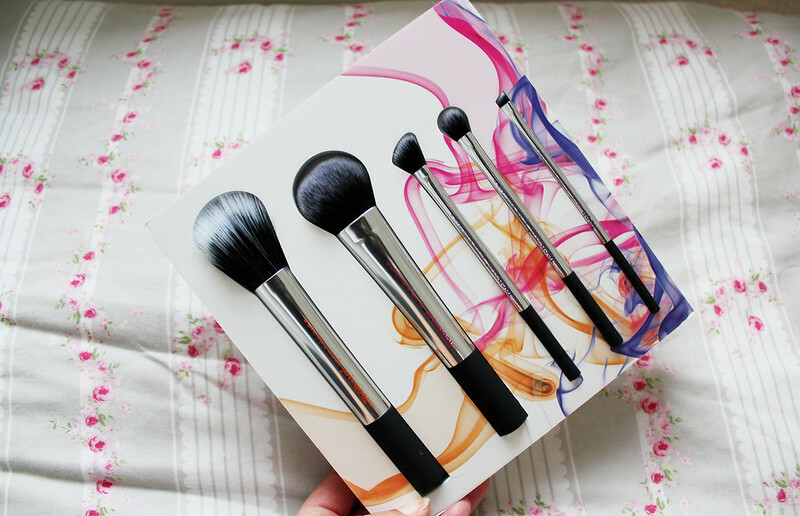 I love how there is 3 set exclusive brushes in this set, which are the cheek brush, angled shadow brush and the eyeliner brush. They're so nice to look at and look a lot more expensive then they are. 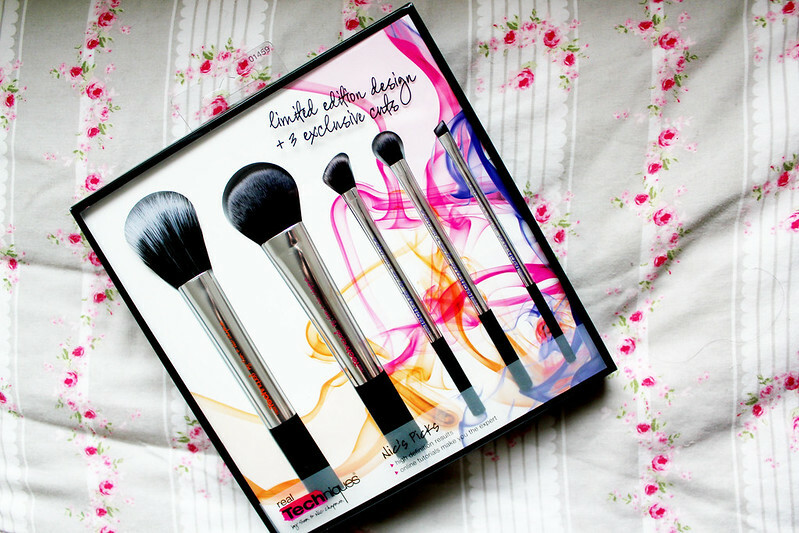 I loved how good value for money these brushes are and easy they are to use. I never used a make-up brush up until about 2 years ago and now I don't leave the house without the essential real techniques brushes! 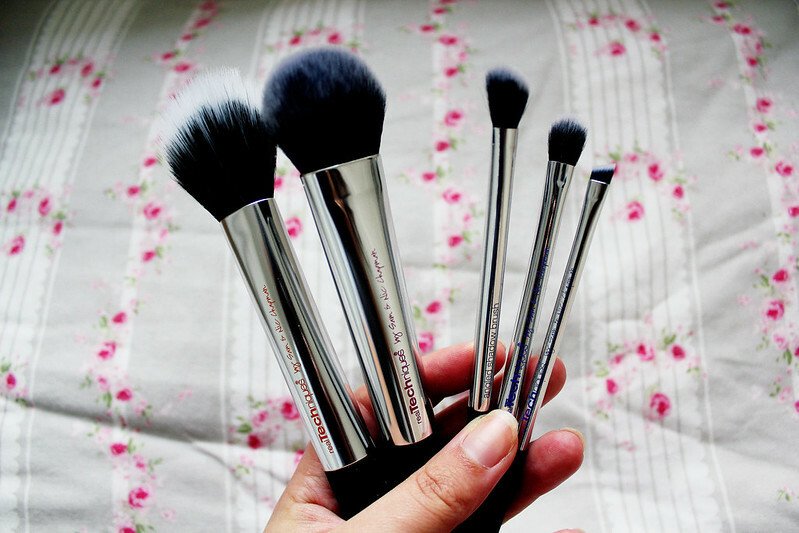 I've been testing out this set for about a week now and my favourite brushes are definitely the duo fibre face brush which is perfect for dusting a bit of powder over your make up, and the cheek brush I like using as a high-light! 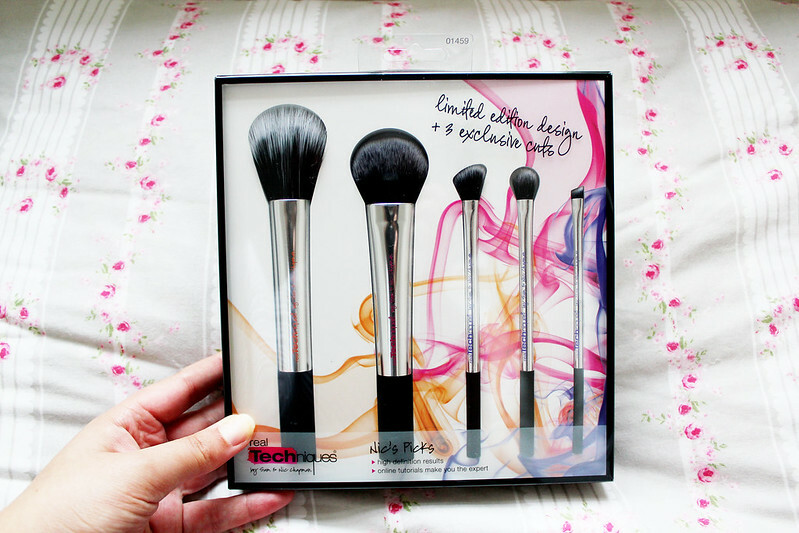 I love the real techniques brushes I still haven't tried these ones! Definitely need to give them a go! This kit seems so good ! Love their new packaging !